Standard VIVA Inspection Systems are a vision-based production management tool that provide a complete inspection of all products produced on Standard Horizon perfect binders, saddlestitchers, bookletmakers, and folders. This fully integrated system is used to complete the required audit trail of package assembly for the production of documents with personal and sensitive information, but can also be used for non-sensitive pieces to perform automated, full-time assembly inspection, virtually eliminating common errors caused by improper loading of stock, book blocks, covers, and intermingled jobs and sets. Verification and integrity: Adhering to objective rules for integrity and assembly, VIVA blends completely into your production process providing the verification of quality, integrity and efficiency that is a must in today’s digital environment. Easily store data: When runs are completed, production information is automatically gathered and stored or sent to a networked destination which can include total produced materials, errors, operator information and much more. Quick package recall: Working from your supplied data file in almost any format, VIVA can return the file modified with details of when the package was completed, or any errors in assembly which are instrumental in providing the audit trail and generating reprints for damaged or missing packages. Third-party support: Additional software modules can communicate that information automatically back into third party ADF workflows or to other third party inspection systems located further downstream in your production process. Our VIVA offerings can be modified to be implemented on third party binders, bookletmakers, folders and inserters as well. 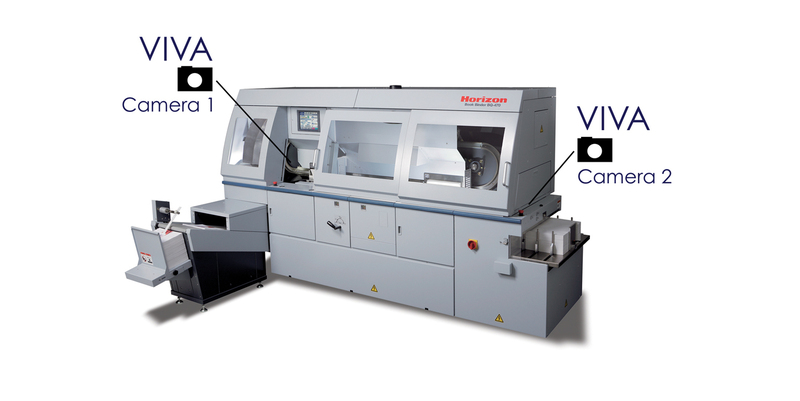 Varied configurations: The VIVA suite is available in the following configurations: VIVA-Stitch for HOF-20, HOF-30, HOF-400, and VAC Collators; VIVA-Stitch for Digital Stitchliner 6000; VIVA-Bind for BQ-270 and BQ-470 Perfect Binders. Professional service: VIVA systems are backed by VIVA Complete, an industry unique comprehensive coverage plan for all hardware, software, reporting, production monitoring and application support. With VIVA Complete, our virtual technicians can be at your site in minutes adapting your system for changes in job rules and parameters and assisting you in getting the maximum benefit from your VIVA system every day.